Your immune system is constantly on a seek-and-destroy mission status – on the lookout for foreign invaders, naturally occurring cell defects and mutant cells. The immune system has a vast capacity to remember bad guys and deploy tactics that worked in the past to annihilate the enemy. 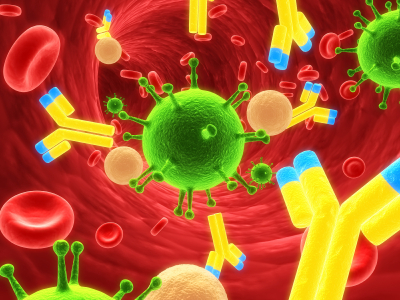 Some of the fastest growing cells in the human body are immune cells. Over 80 percent of the body’s immunity is built in the intestinal tract by the friendly bacteria balance that resides there. The intestinal flora starts building in an infant while in the womb but doesn’t really take off until after eight days of age. Starting with the colostrum milk, the gut begins to populate with more bacteria while the infant’s immune system starts an inventory of good and bad cells in the body. This inventory is a life-long process and the immune system never forgets an invader. The absolute worst thing to do to any infant is to give them an antibiotic. 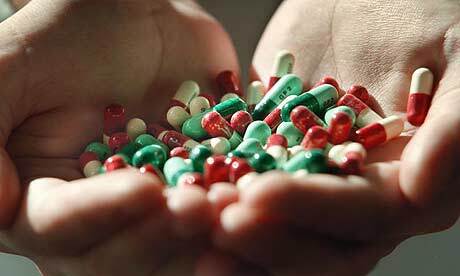 Antibiotics indiscriminately kill bacteria, both good and bad. One round of antibiotics will permanently change the baby’s immune system, and because a majority of neuro-chemicals are also made in the gut, the baby’s neurology is also altered. The antibiotics that have been touted as the savior of mankind from disease are costing us in disease and degenerative, chronic diseases. Once the very first antibiotic is administered to the infant or child, the bacteria in the gut is wiped out and the immune system is permanently altered in its ability to manufacture appropriate immune cells. Fungus in the gut is now unopposed and begins to proliferate unchecked by the friendly bacteria. After fungus sets up strongholds then parasites move in to share the bounty of food and minerals meant to feed the body. This is the first step for chronic disease and cancer. The same process happens when an adult takes even one round of antibiotics. Everything changes permanently and takes years of targeted nutrition and probiotic therapies to recover a semblance of normalcy in the body systems. Over 80 percent of heavy metals are removed from the body via the friendly bacteria in the gut. Certain bad bacteria and fungus actually prefer to retain and move heavy metals into the body and transport these metals to different tissues and organs to weaken them for future invasion. Fungus is a clean-up organism that feeds on compromised tissues. Eventually a bad fungus will invade healthy tissues as it gains strength and your body weakens. Once the bad bacteria balance occurs and the fungus sets up shop, the intestinal wall becomes leaky, allowing partially digested foods, bacterium and allergens to cross into the blood. Now the already weakened immune system has double-duty to perform trying to clean up the gut while tracking down these new threats to the body. To think this all started with a well-meaning but seriously wrong pediatrician and misinformed parents. It ends with you making informed decisions before submitting to any medical treatment, including taking antibiotics. You are the one who gleans the benefits or suffers the consequences – not the doctor who collects your co-pay up front and makes you sign “informed consent” papers before treatment. This entry was posted in Health and tagged ANTIBIOTICS, article, blog, Chlorine, chronic diseases, colostrum milk, comment, disease, earthdecoded, eddie consciousness levin, facebook, food, friendly bacteria, gut, health, human body, immune system, intestinal flora, mayoclinic, medical treatment, mike adams, minerals, natural news, naturally, neuro-chemicals, nutrition, of heavy metals, probiotic, wired.com, wordpress, worldtruth.tv. Bookmark the permalink. Very interesting article. I never thought of antibiotics that way as something to destroy the immune system. Definitely a whole new insight now. Excellent article! Keep the articles coming.